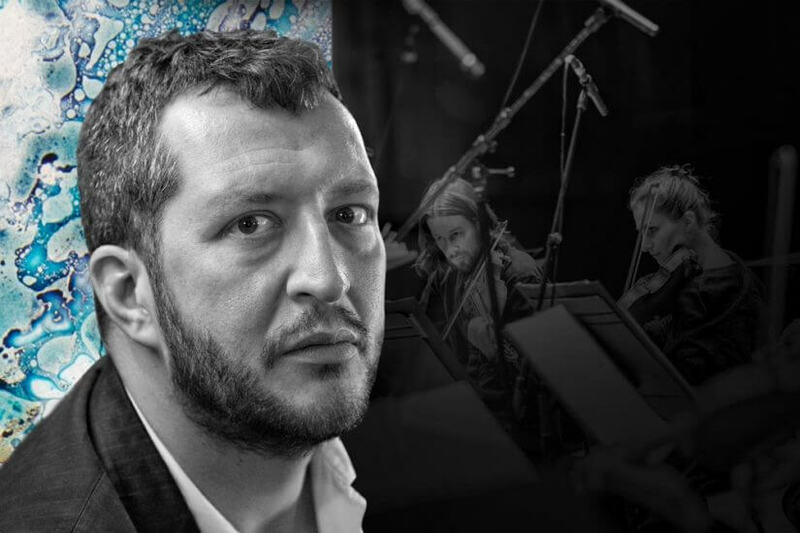 Thomas Adès and Britten Sinfonia’s journey through Beethoven’s Symphonies reaches the half-way point with the perennially popular, vivacious Symphony No 5 and the subdued, poignant Symphony No 4. In this performance, Adès and the orchestra interpret and illuminate these two monuments of the orchestral repertoire, alongside the inventive music of Irish composer, Gerald Barry. The concert features the London premiere of Barry’s Piano Concerto written specially for, and performed by Nicolas Hodges. Download the programme notes for free here. The performance in London will be broadcast live on BBC Radio 3. Conductor, Thomas Adès discusses his approach to Beethoven’s symphonies and why he’s paired them with the music of Irish composer and Beethoven devotee, Gerald Barry, in our latest film. Last May we began our Beethoven Symphony Cycle conducted by Thomas Adès with symphonies 1, 2 and 3. Today we announce our 2017-18 series of concerts in Norwich, which also marks our 25th anniversary season. Saffron Hall has today announced its 2017-18 season featuring Britten Sinfonia in its second series as Resident Orchestra. We are proud to present our 2017-18 season trailer – a short film highlighting some of our upcoming projects and collaborations. In the second of our series of ‘Beethoven and me’ short films, leader Jacqueline Shave talks about what Beethoven means to her and why she feels such a close affinity to the composer. Ahead of the start of our Beethoven Symphony Cycle, conducted by Thomas Adès, later in May we’ll be releasing a series of short films featuring some of our key players talking about what Beethoven means to them. As the orchestra embark on rehearsals for our Beethoven Symphony Cycle we release the final film in our ‘Beethoven and me’ series. With just over a week to go until the start of our Beethoven Symphony Cycle we release the third in our series of ‘Beethoven and me’ films. Ahead of the start of our Beethoven Symphony Cycle with Thomas Adès we talked to some of our musicians and others about their first experience of hearing and performing Beethoven. In our latest podcast, Ben Eshmade talks to the key collaborators involved in our Beethoven Symphony Cycle project which begins in May 2017. Programme notes for all of the performances in year two of our Beethoven Symphony Cycle, conducted by Thomas Adès, are now available to download for free. "Adès’s control and flexibility were exemplary, and the players of the Britten Sinfonia conveyed all the work’s energy, subtlety and, in the final movement, triumphant joy." "The Fifth has been saying “Beat that” since its premiere, and so did this performance." "This was Beethoven light on his feet and with a mischievous swagger." "Britten Sinfonia is middling in size, with some high-profile wind soloists in its ranks, which means playing that is quick on its feet, bristling with clarity and energy. The Symphony No.4 was all those things and highly dramatised in Adès’s hands." "His reading of No 5, however, was a winner – impatient yet disciplined, histrionic yet lyrical, it stressed the elements Beethoven and Barry share, and found resolution for all of them, ending the concert in triumphant exuberance." "Together with the lithe and airborne No 4 in B flat, he conducted the Fifth with febrile grandeur, as if surprised himself at Beethoven’s unpredictable, rule-breaking brilliance." "The miracle of Barry’s music, featured in all these Beethoven concerts, is that no matter how loud the battering, the composer’s blunt energy still brings pleasure."